The team at Haskins Garden Centres has launched a spring bulb planter guide to add a burst of colour after the dullness of winter. Purchase the yellow dwarf daffodil ‘jetfire’ to contrast against the blue of ‘scilla siberica’. Choose a wide, shallow pot to complement the proportions of the dwarf daffodils and cover the drainage holes to prevent the soil from leaking out. Add a layer of bulb compost and arrange the daffodils first. Daffodils should be planted pointy end up. 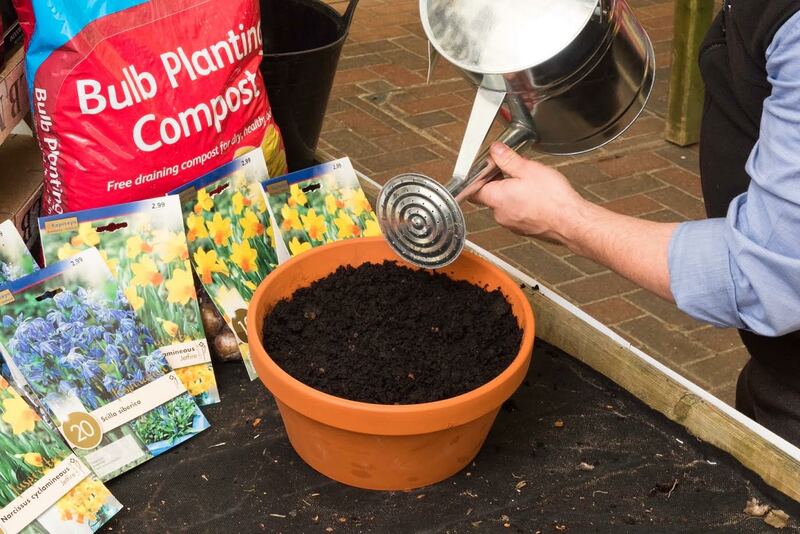 Bulb compost ensures the daffodil bulbs can be planted at the correct depth. Cover the daffodils with compost and plant a layer of scilla evenly across the pot, producing a layered lasagne effect. Cover the second layer with more compost. If the pot is deep enough, continue to add more layers of smaller bulbs. Water the pot to allow the soil to settle and every February, use a slow release or proprietary fertiliser to help bring the bulbs on. Remember to dead-head the flowers when necessary. Haskins Garden Centres are rocketing in on the news that astronaut Tim Peak famously became the first British gardener in space – when he revived failing zinnia flowers while on board the International Space Station. From now, zinnias can be found at Haskins’ at Ferndown in Dorset, West End in Southampton and Roundstone and Snowhill in West Sussex. Zinnia ‘Profusion Orange’ was the variety used in the experiment. 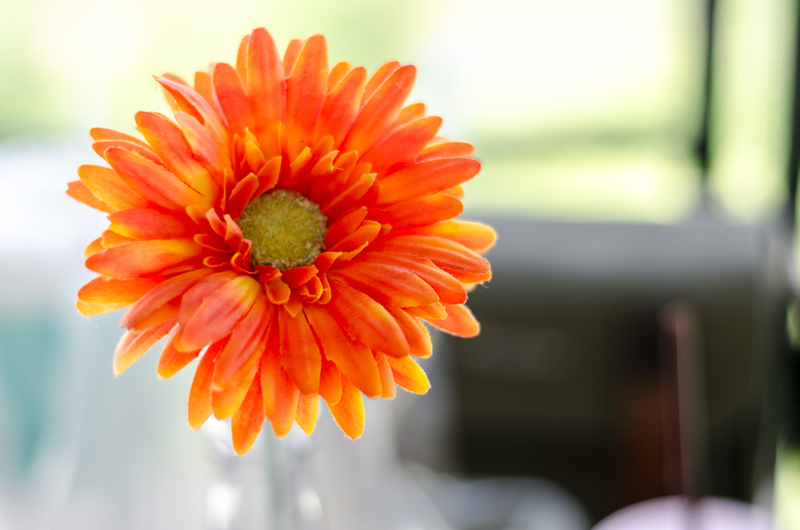 It is an upright annual with bright orange, daisy-like flowers that last throughout the summer and available to buy at Haskins from £2.99. For more information, visit www.haskins.co.uk. Showcasing the best flora from the British Isles, Marks and Spencers stunning Chelsea Flower Show exhibition launches today. Bring the colour of the Flower Show into your home with Marks and Spencers glorious bouquet, which features their pick of the best British Isles blooms. 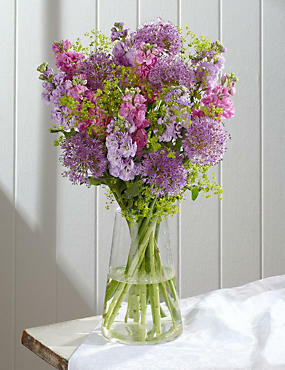 Brimming with pastel-hued stocks and vivid Purple Sensation alliums, this arrangement will grace any space.